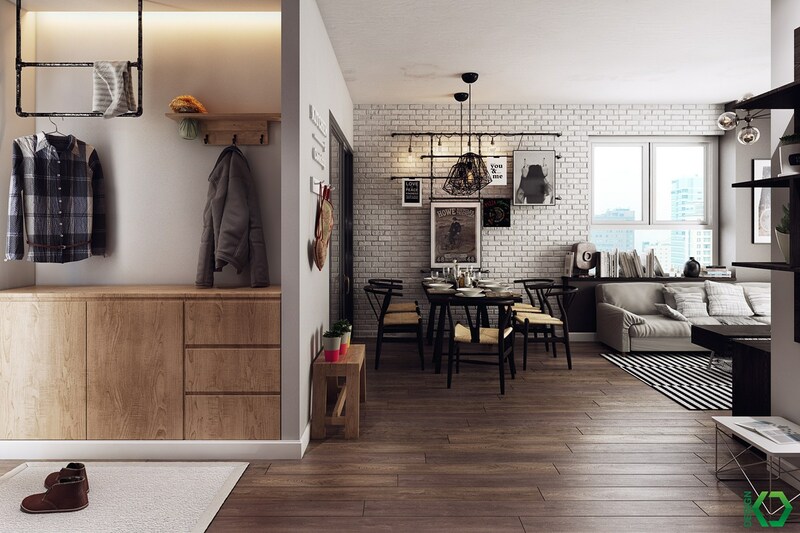 Nordic home designs are just as diverse as any other style – the foundational elements definitely leave ample room for individuality, experimentation, and growth. 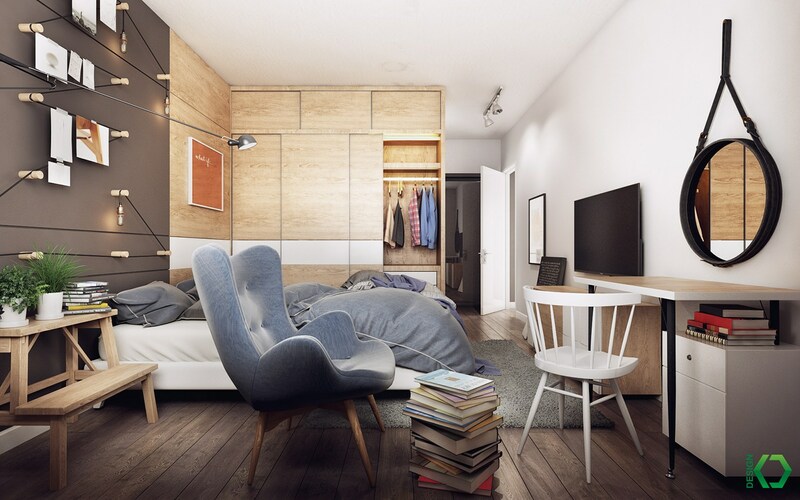 Minimalism is more popular than ever but it's not the only option out there by far. 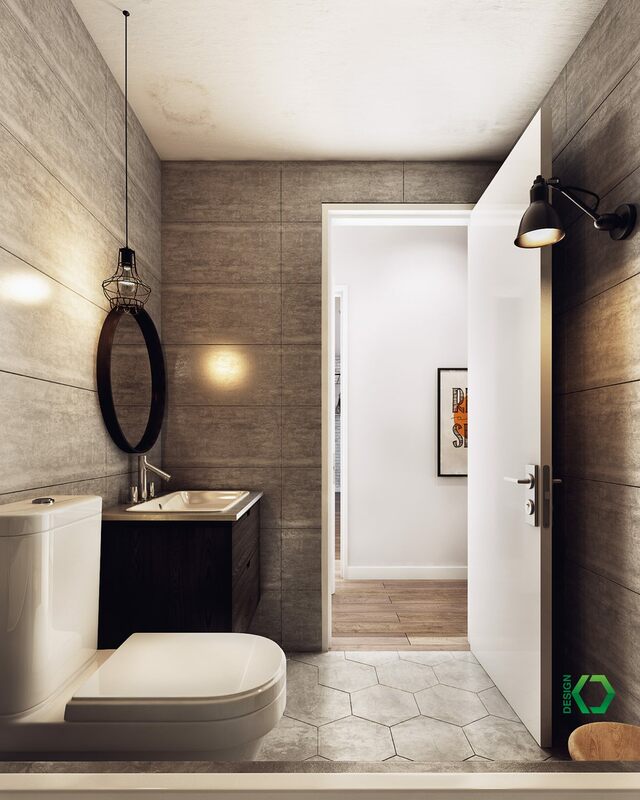 This charismatic interior by Koj Design demonstrates this important sense of aesthetic versatility extremely well. 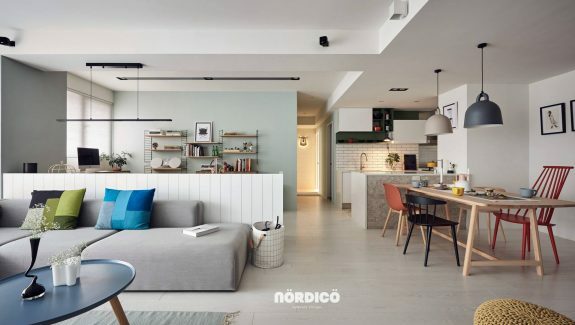 Take a quick scroll through this inspiring house tour to gather some fresh ideas for your own Nordic-inspired decor aspirations. 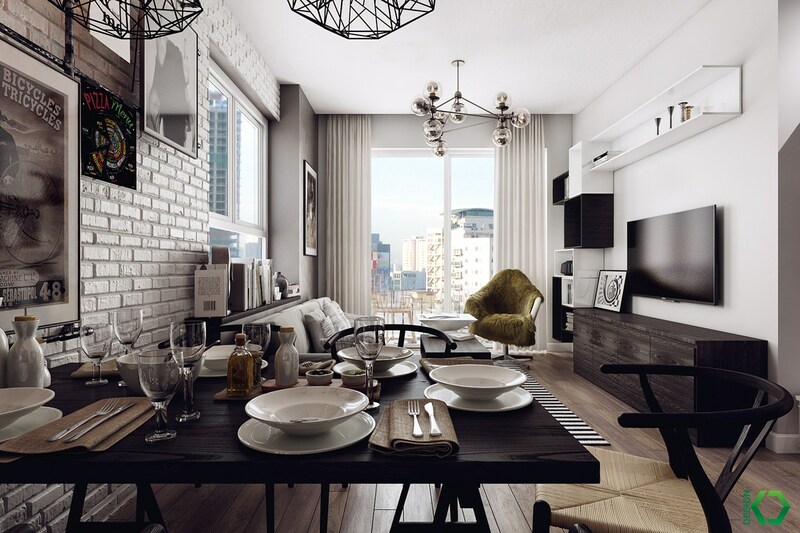 Each room is different, so there are plenty of great techniques to enjoy and adapt. Although minimalism is a staple of “magazine Scandinavian” design, this home takes a more natural and realistic approach with interesting geometric themes and creative accessories that bring the interior to life. 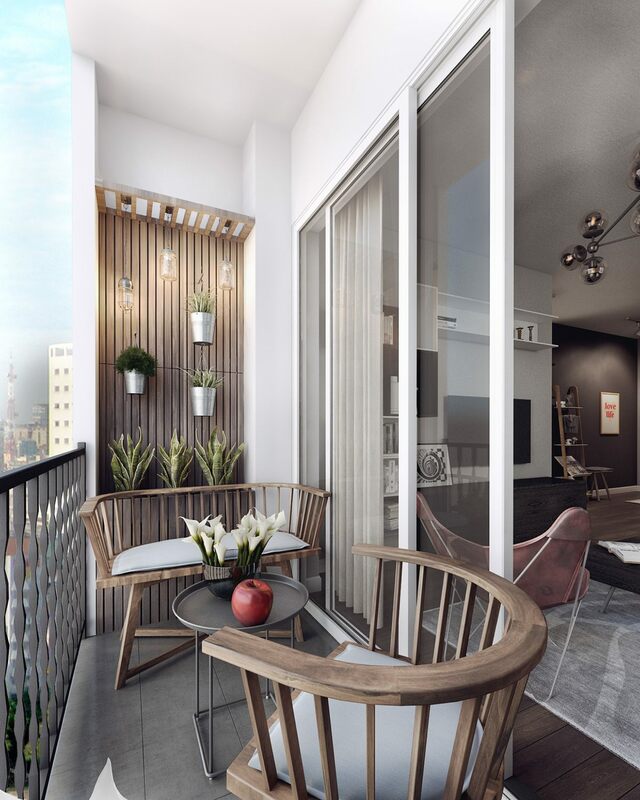 Nothing about this interior feels too plain: from the geometric lights to the textile patterns, you’ll find plenty of character anywhere you look. 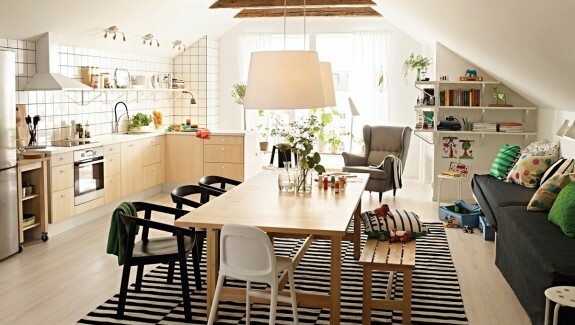 Many of the furniture choices are undeniably Nordic, like the Wishbone chairs by Danish designer Hans Wegner. Other pieces come from around the world, like the Modo chandelier from the Jason Miller design studio. 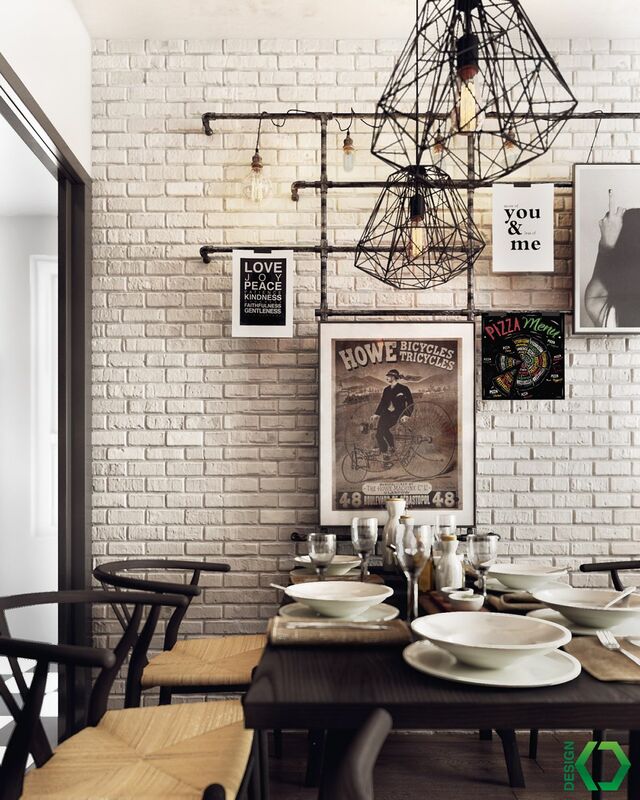 Eclectic artwork totally works in a home like this one. 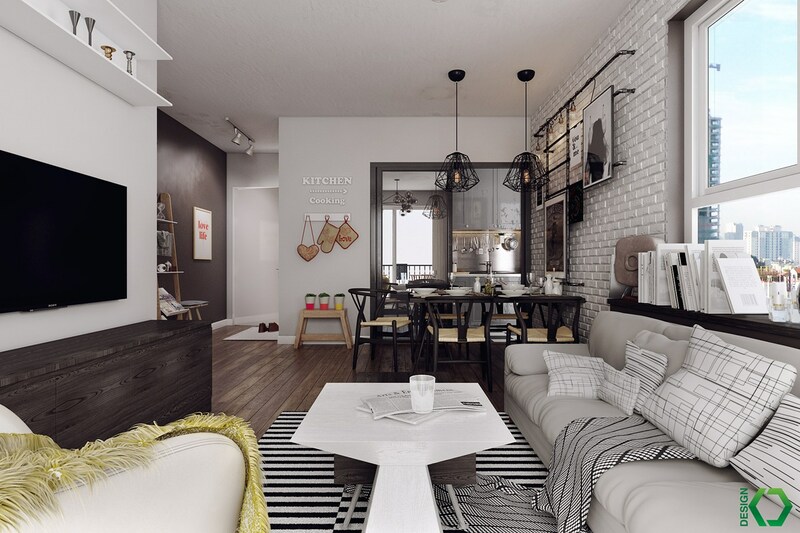 They stick to a primarily neutral palette to match the rest of the home, making the colorful artwork choices even more effective. 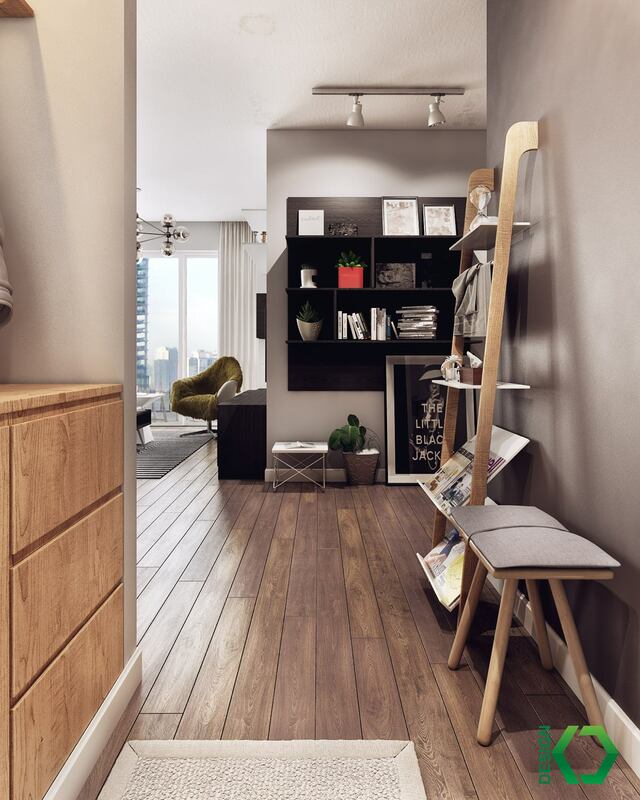 Here’s a peek at the tidy and well-organized entryway. 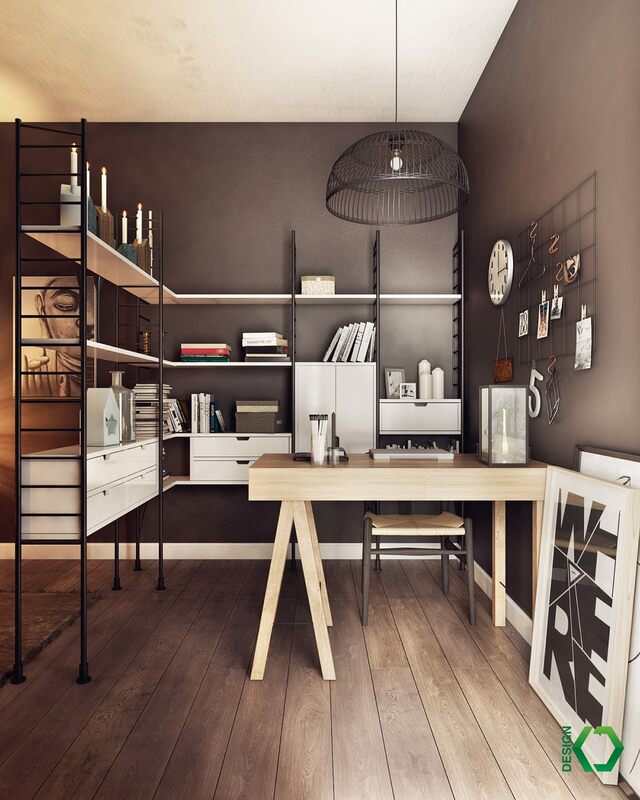 Although this home obviously has the flexibility to add built-in features, the leaning shelf is a great solution for renters and indecisive decorators. They’re versatile, quirky, and always fun. Typographic details always draw the eye – like faces, text grabs attention immediately. 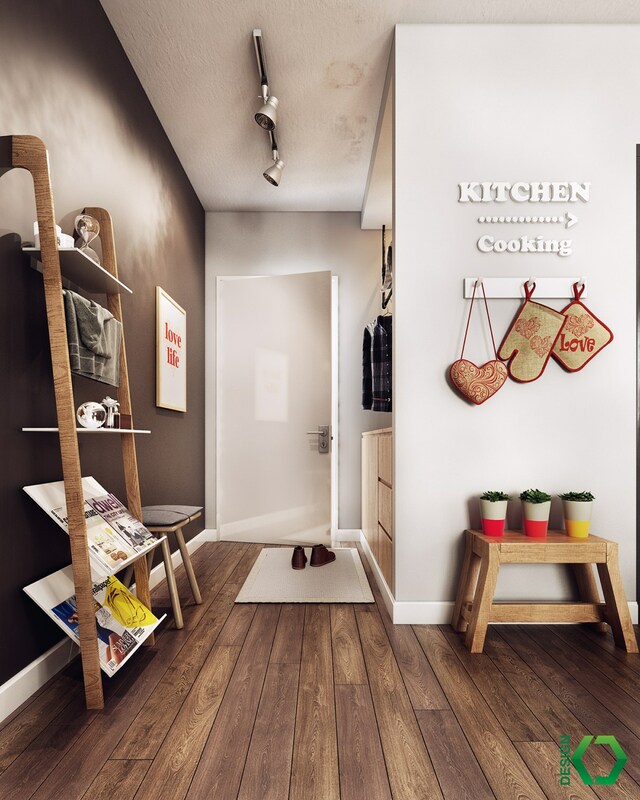 The sign pointing toward the kitchen is an especially charming touch. 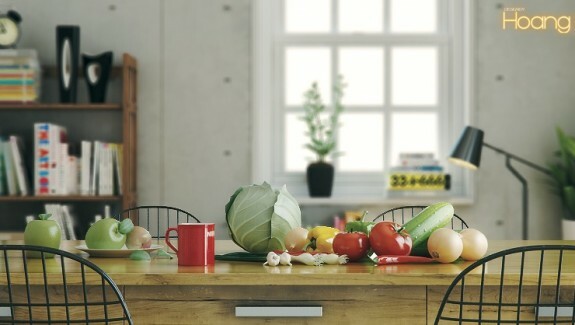 The compact kitchen benefits from smart organization techniques. Aren’t those spice and noodle jars attractive? 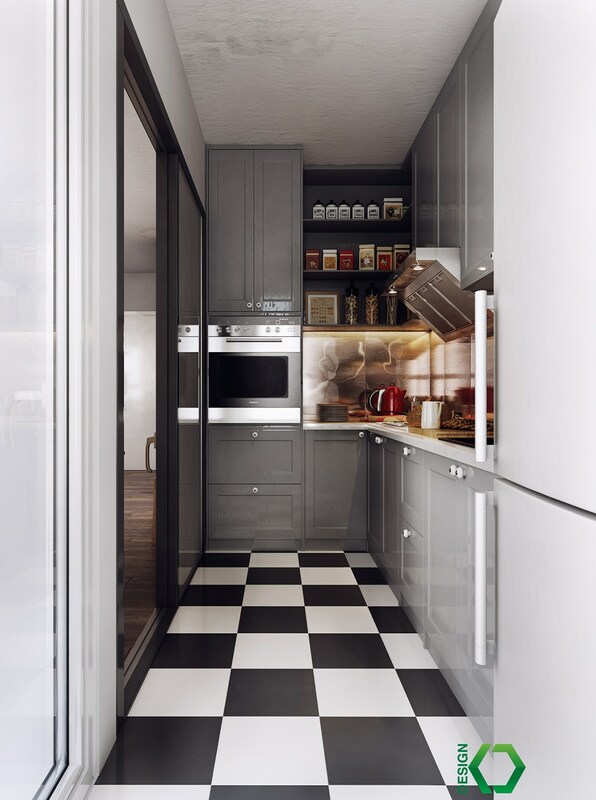 Containers are a great way to free up space in the cabinets without compromising aesthetics. 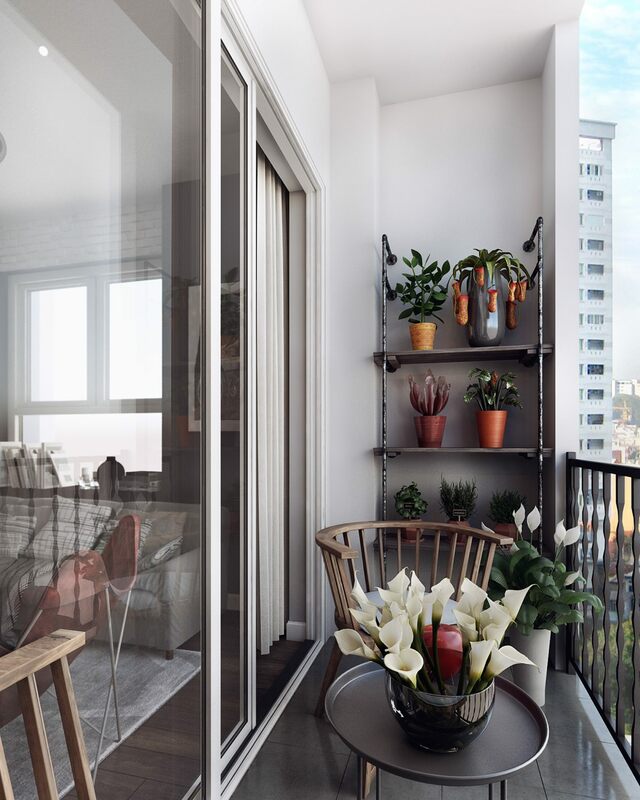 Jar lights, tin planters, and wooden cladding create a rustic atmosphere on the cozy balcony. Unique plants – although sometimes difficult to care for – always make a spectacular impression. 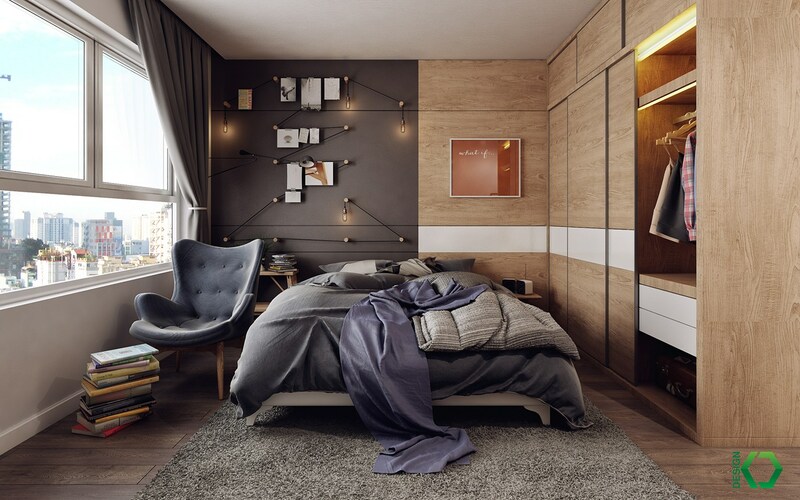 This bedroom has a lot going on – but in the best possible way. It has a tabletop garden that doubles as a bench, a study desk that doubles as a vanity, and a reading chair that doubles as space for guests to sit. 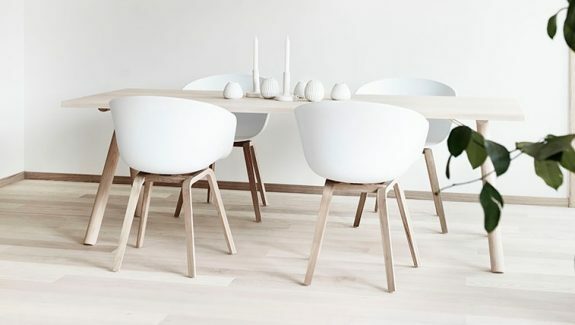 Grant Featherston may have been an Australian designer, but the sleek and smooth style of his Contour chair fits well within a Nordic-inspired interior. Pegs and long cords make for the beginnings of a wonderful modular lighting system. This resident has added photographs for an even more personalized touch. Serious work takes place in the office. It’s compact, but the expansive storage system ensures everything remains right within reach. 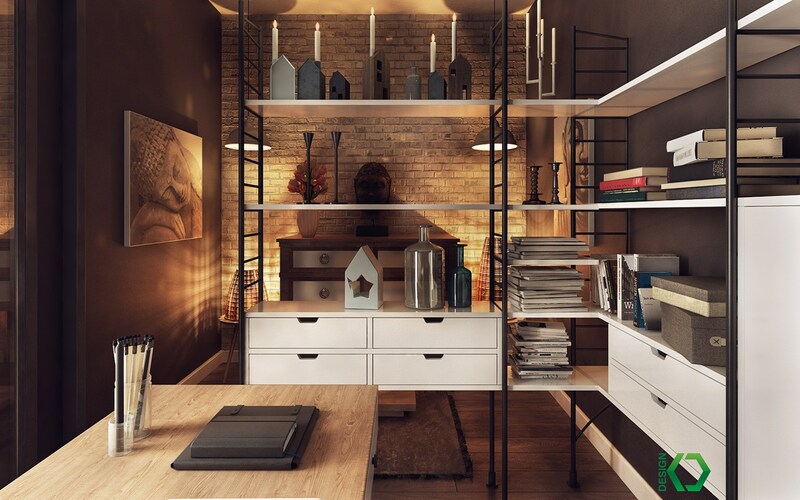 The shelves feature open backs to prevent the workspace from feeling too closed off from the world. Ambient lighting in the background surely calms the soul. 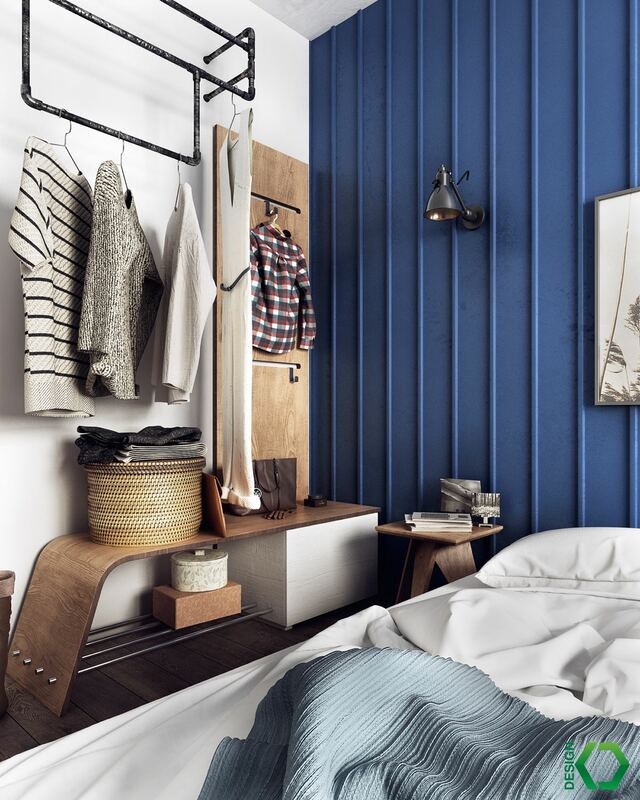 Blue and white is a popular color combination in Nordic-inspired design. 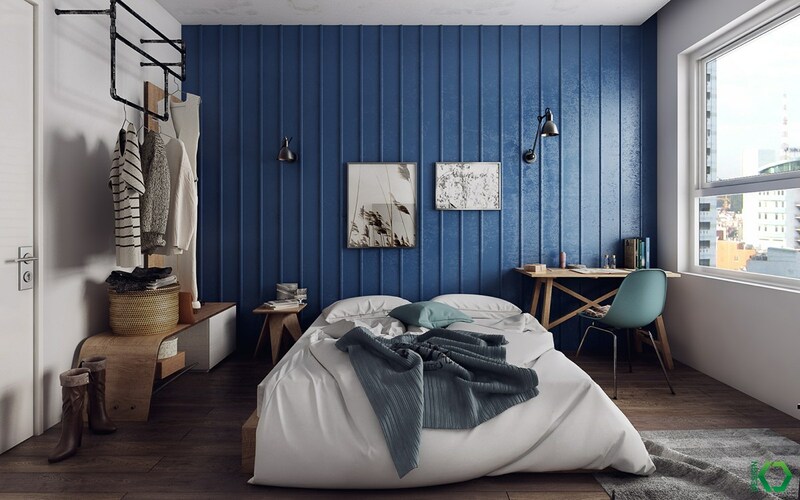 In this bedroom, this palette pairs well with wood details to weave a free and natural theme. 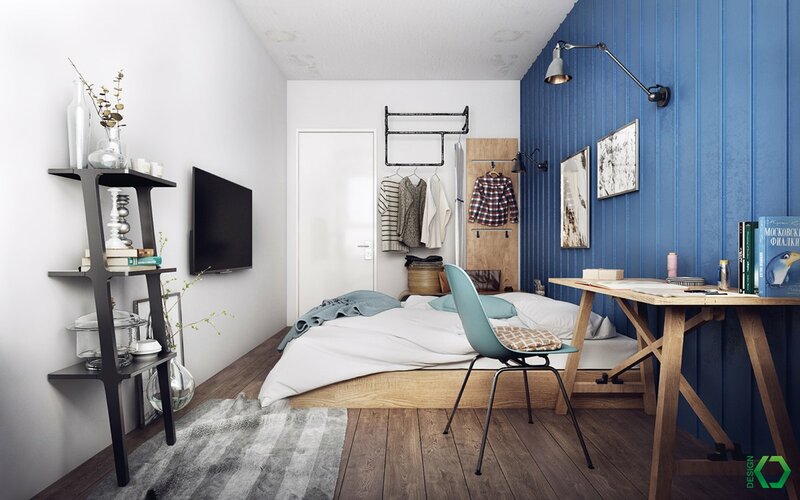 Lacking storage space, this room makes great use of hanging racks to replace a bulky wardrobe or space-consuming closet. 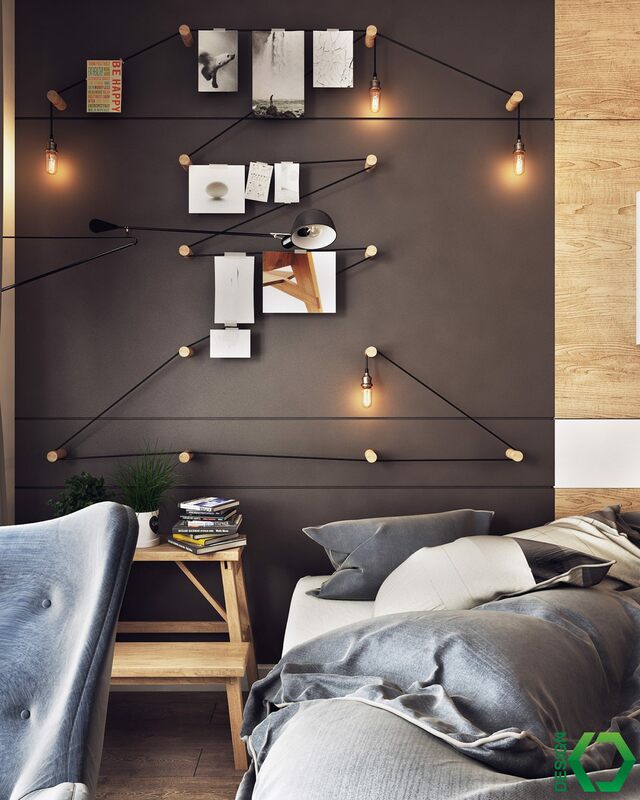 Simple nature-inspired artwork completes the casual theme. 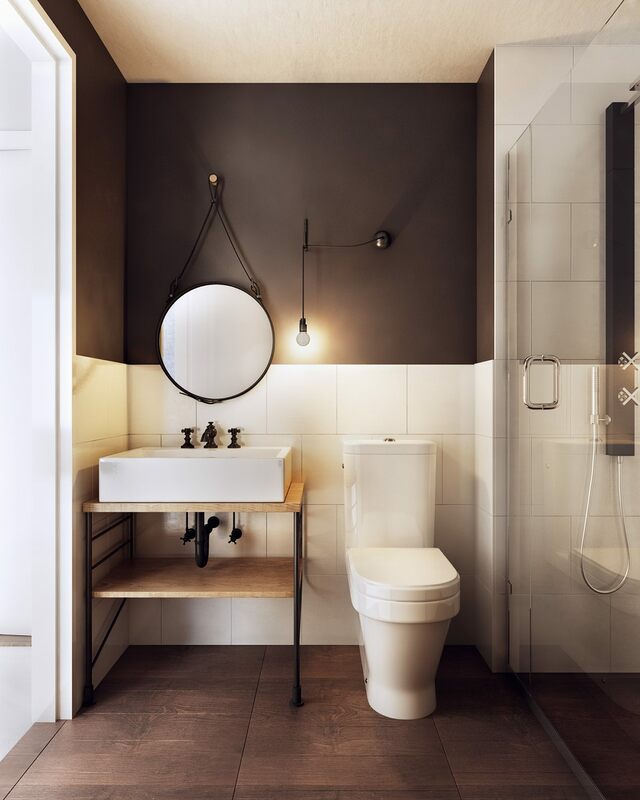 No home tour is truly complete without a quick look at the bathrooms! 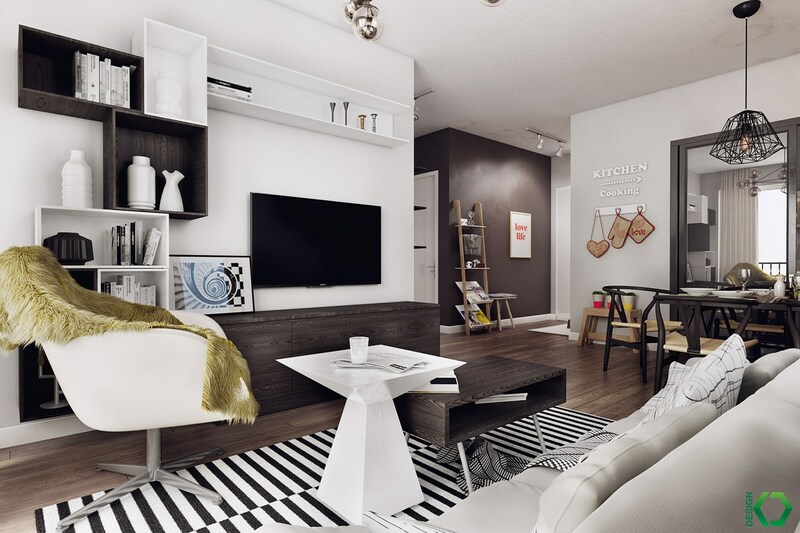 Wood and white make for a simple theme. 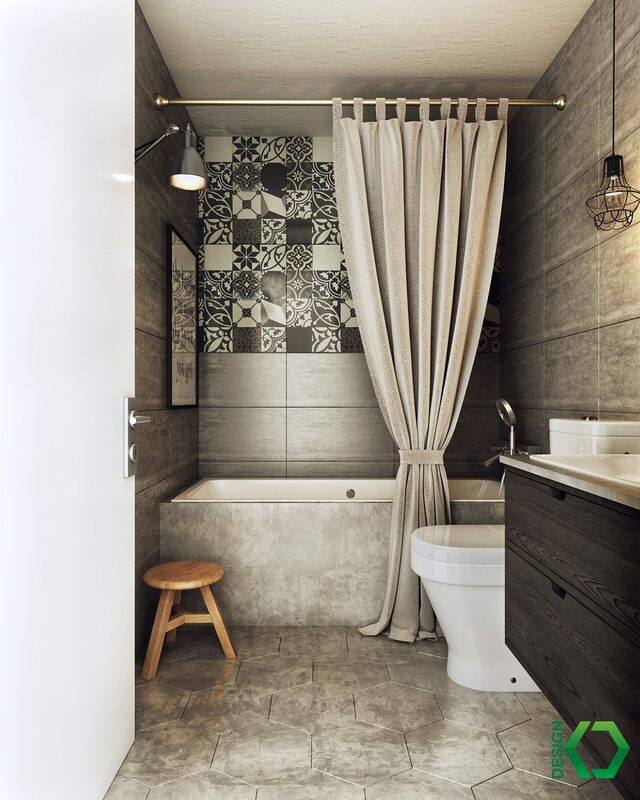 The second bathroom takes a more modern approach with hexagonal floor tiles, a smoothed concrete-clad tub, and eclectic wall patterns.